Spiritual classics and the existence of down-loading info. Lou currently serves as Director for Bio-Nature Technology and Organizer for Wellness Garden VC/Foundation/NGO (益苗投顧). Invested into a R.E.D. (Resonance Electronic Devices) new Chinese Medicine energy device company, Bio-Nature Tech., that will form the base for growing future frequency and e-health industry that will become the core portfolio of another new business/fund organization tentatively named Wellness Garden. Lou has also served as Bio-Energy and Bio-Information Medicine Branch Leader under the president of Chinese Integrative Medicine and Promotion of Health Association (CIMPHA) since 2015. Prior to his current role, in 2016-2018, Lou was President/CEO, U-SUN Healthcare Ltd., i.e. TimeWaver-Taiwan that distributes German TimeWaver medical devices. In 2010-2014, Lou was President, Chinese Association of Bio-ElectroMagnetic Science (BioEM). Lou worked for Honeywell Aerospace (1994-2009, 2011-2016) , Taiwan Aerospace Corporation, Flow International Corp (1990-1991) , General Electric (1984-1990), etc. Lou is a co-editor of “The Music of Qi” Science/Medicine Book written by Dr. Wei-Kung Wang, linking the TCM meridian system with 1 to 20 Hz pressure resonance. 背景：Building Energy Modeling Analyst at New Ecology, Inc. 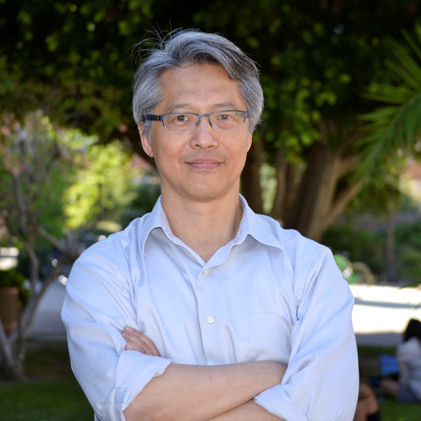 Learn from VIctor Tang, former Vice President of IBM China how to enhance your creativity using mathmatic operations and listen to Jim Verquist's talk on how his project foster a creative-friendly environment for corporation. Learn how to evaluate your idea and improve the outcome of it. Use different math operators to create new idea from exist means. Listen to the usecases of forstering a creative-friendly environment. Network and Brainstorm with other attendees. 1:45 - 2:00 Registration and last minute walk-in. 2:00 - 3:30 Creativity talk from Victor (Actual title: TBD). 3:45-4:30 Whitespace Projects => Creative space for big ideas by Jim Verquist. Coby Ma ：Senior Associate at Innosight, where he helps companies to develop transformative and growth strategies across various industries. At Innosight, Coby has helped clients in healthcare insurance, defense, Oil and Gas, chemical and Property and Casualty insurance to develop long-term growth strategies and identify short-term growth opportunities. Prior to joining Innosight, Coby worked as a Senior Engineer at Schneider Electric in Sydney, Australia, and Boston MA, serving clients in telecommunication, defense, resource extraction, aerospace and high tech sectors. Coby received his M.B.A from the Tuck School of Business at Dartmouth, and received his B.E. in Photonics Engineering from the University of New South Wales. Xiaoxing Wang：Associate at Innosight. Xiaoxing is passionate about helping a great company continue to be great in the future. Prior joining Innosight, Xiaoxing worked at Decision Resource Group, a market research and healthcare consulting firm, helped pharmaceutical companies understand the competitive landscape of their products and developed market launch strategies. Previously, Xiaoxing did her postdoctoral fellowship at Dana Farber Cancer Institute and Broad Institute. 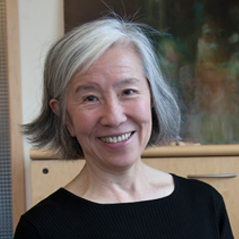 Her work involved identifying the Achilles heel of colon cancer by high throughput functional genomic screening, in which thousands of human genes can be individually manipulated and evaluated in parallel. Xiaoxing received her B.S. in Biological Sciences from China Agricultural University and her Ph.D. in Environmental Health Sciences from New York University. She did her postdoctoral fellowship at Dana Farber Cancer Institute and Broad Institute. Edward W Lee: Project leader at Boston Consulting Group (BCG). Edward specializes in corporate strategy, transformation and corporate development projects in healthcare, biopharma and technology organizations. Some of his sample projects include growth strategy, research and development, project management office (PMO), large scale transformation, digital enablement, operating model design, organization optimization and delayering, change management, commercial and marketing excellence, corporate development, competitive intelligence, market landscaping, business intelligence, and commercial due diligence. Prior to joining BCG, Edward worked as a consultant at L.E.K. Consulting. Edward received his Bachelor of Commerce (Hons) in Finance from University of New South Wales and an MBA from UC Berkeley Haas School of Business. We are pleased to have Dr. David Kolesky to come and share his research on "State-of-the-art 3D Printing Technology for Biological Applications" with us! Applications for the 2018 Civic Digital Fellowship are live! Coding it Forward is looking for impact-driven software engineers, data scientists, designers, product managers, and data journalists to modernize tech at federal government agencies—including the U.S. Census Bureau, U.S. Department of Health and Human Services, and U.S. Department of State. CIF also has opportunities at civic tech organizations for non-citizens! As a fellow, you’ll take a large-scale, high-impact product from start to finish; for example, three of our fellows built census.gov/smallbusiness last summer. - A competitive stipend, housing, and travel to-and-from D.C.
- Site visits—including bowling at the White House! Come join us this Saturday for our monthly outreach, an event where we show our support for Taiwan and raise awareness for Taiwanese issues, at Harvard Square in front of the Cambridge Savings Bank between 12 and 2pm! We will also use this opportunity to promote our annual conference on November 4th, networking and have fun. 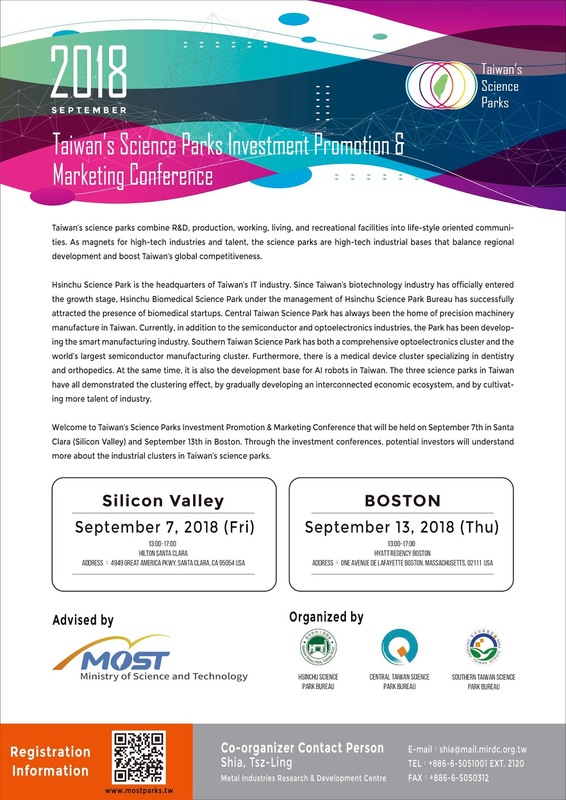 Organizer of "Big Data and Artificial Intelligence: IP Landscape and Competitive Strategies"
Monte Jade New England is a non-profit association located in the metro Boston area. Our members comprise professionals primarily from the science and technology fields who share a common vision -- innovation and business opportunities can be fostered through active information sharing and collaboration amongst parties with diversified expertise, locally and internationally. Topic: Hold on to your Tax Dollars with a §1031 Exchange! * Recognize when a property qualifies - Multi-families, Condos, Commercial, Land, etc. August 5-6, 2017. Northwest Science Building at Harvard University, Boston, MA. 本屆主題: “Enhance communications between academia and industry. " • Registration fee: $15 (early bird) by 6/15 11:59 PM (EST) and $20 (regular) by 6/30 11:59 PM (EST). Please note that registration will be closed when the maximum number of registration has been reached. • The theme of this year: “Enhance communications between academia and industry. " For more information about our program, please check our website (http://btbatw.org/2017)! BTBA (Boston Taiwanese Biotechnology Association) comprises a group of young Taiwanese professionals who study or work in biology-related fields. 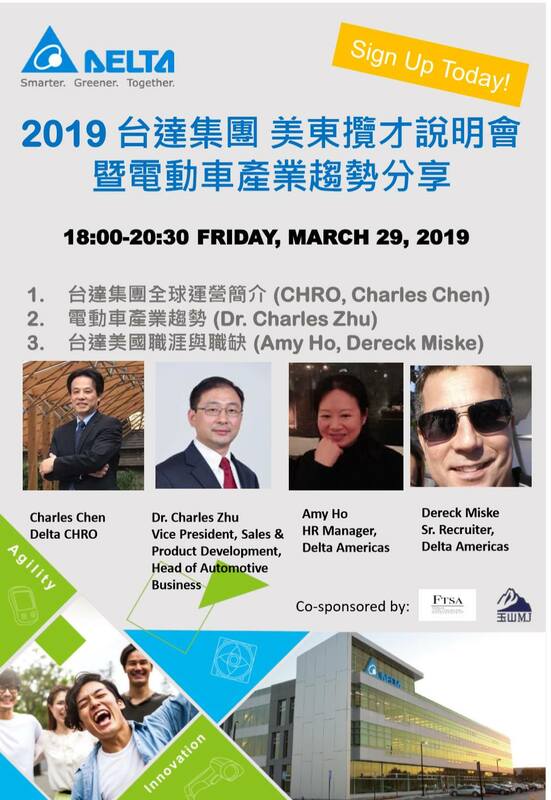 Based in Boston, we host the Boston Taiwanese Biotechnology Symposium annually, hoping to bridge academia and industry in both the U.S. and Taiwan to meet the needs of young professionals like us. We welcome all graduate students, postdocs, and young professionals in bio-, pharma-, public health-, and related fields to join us at the symposium. Please submit an abstract if you would like to present your research at the symposium. The symposium will take place at the Northwest Science Building at Harvard University. For information about transportations please check here. Jack and DeLoris Lange Professor of Physiology and Biophysics at the University of California, San Francisco, HHMI Investigator, and Academian of Academia Sinica, Taiwan. 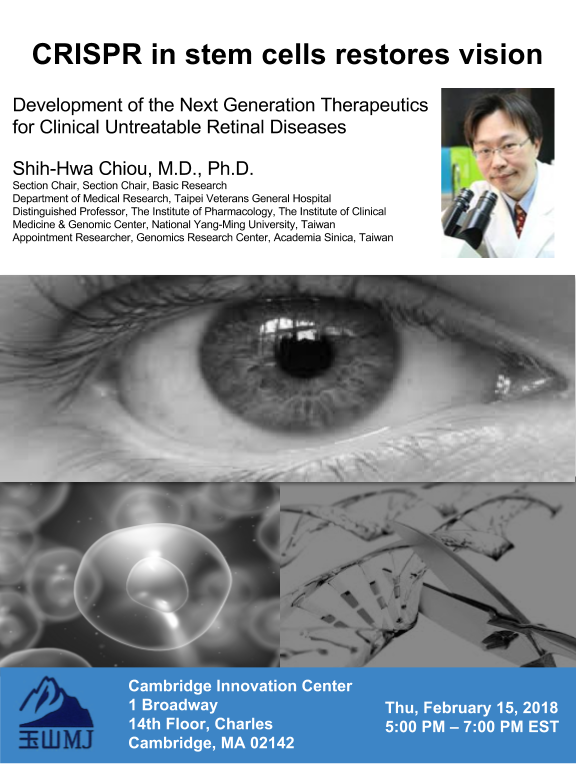 Dr. Lee oversees the transition of bringing Proteostasis to IPO. In this panel discussion, He will share his insights of managing investor relationship. 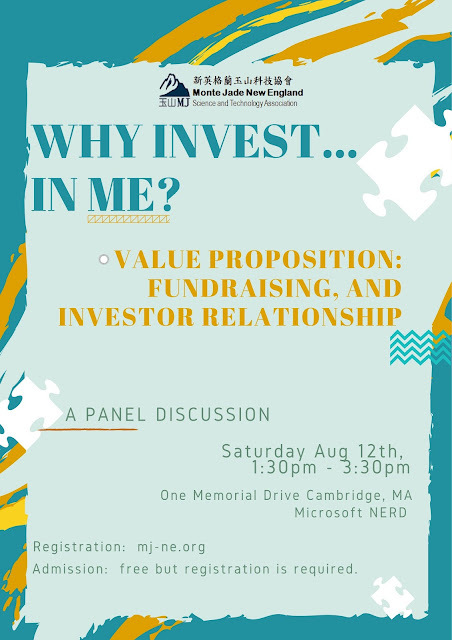 In this panel discussion, Dr. An will share his insights of fundraising for not-for-profit organizations. Dr. Chung will share his view of fundraising and investor relationship from a legal perspective.